Primary teeth have very large, internal pulp chambers and thin enamel. 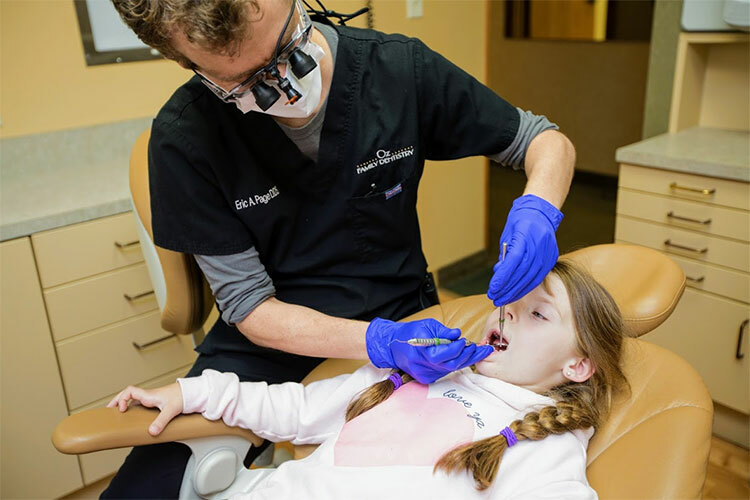 This makes decay, when it is present, spread more quickly than in adult teeth and puts primary teeth at higher risk for infection if problems are not detected early. Primary teeth also serve an important role in preserving space for adult teeth and regulating how quickly they develop and erupt. 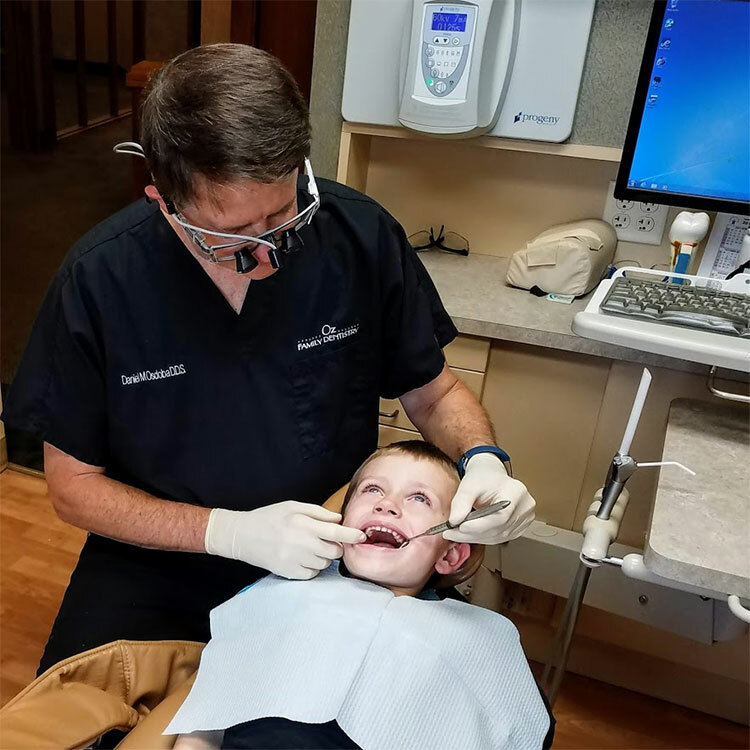 Finally, a child’s early experiences with the dentist shape can their attitude about the regular dental care for the rest of their lives. This makes having a positive first experience very important. 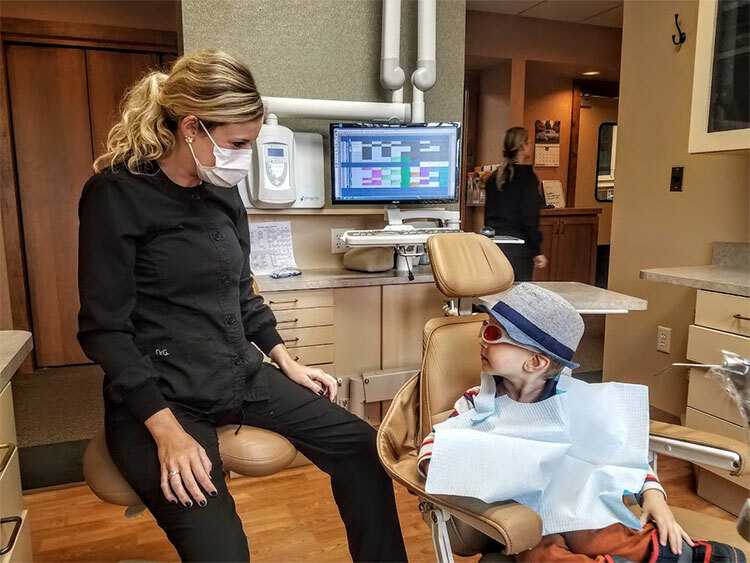 Our dentists, hygienists, and assistants are highly experienced at working with young children. We go out of our way to make the experience fun, friendly, quick and easy, so that children see a visit to our office as something to look forward to. 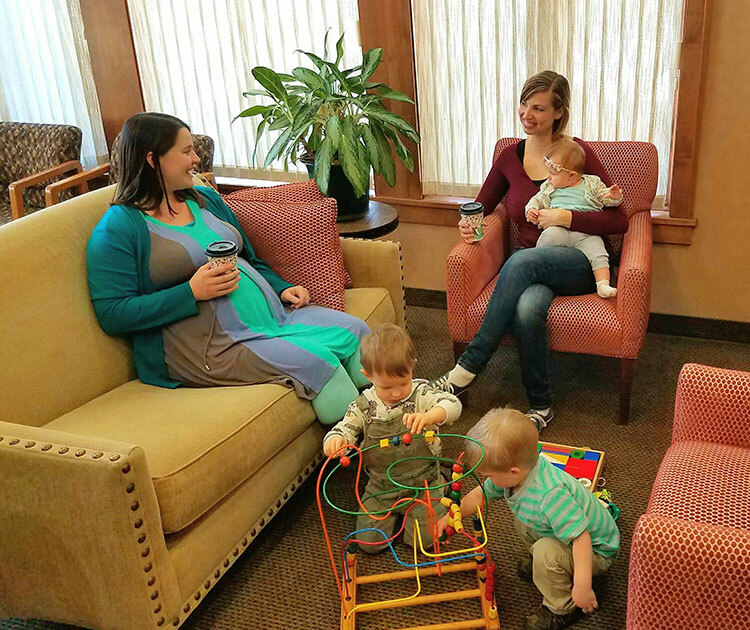 We have a kid friendly reception area with many books and toys (plus coffee for tired parents), and a well stocked treasure chest and sticker dispensers for after the visit. Read below to see what others have to say about their children’s experiences at our office! High quality service, professional, great with children! Very kind, helpful, and made the experience great for everyone!